One injury in the game of softball can completely turn the tide. On Thursday afternoon, the Santa Clara Bruins hosted cross-town rival Wilcox without ace pitcher and cleanup hitter Victoria Latz in the lineup. The result for the Bruins wasn’t pretty. Wilcox would drop a five spot in the top of the first inning en route to an 18-3 victory. 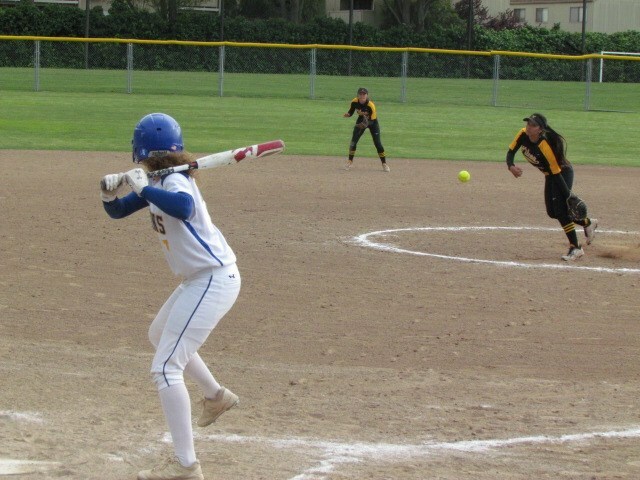 Since Latz has thrown over 90-percent of the Bruins’ innings this year, her injury took away from what would have likely been a hotly contested matchup between the rival teams. In the opposite dugout, the Chargers were fully amped and ready to go from the start of this one. Not only did they drop a crooked number in the first inning, but they got quality pitching out of junior Marina Herrera. After losing 10-0 to Mountain View on Tuesday, the Chargers only allowed the Bruins to score twice over the first five innings. On the offensive side of things it was Chargers’ junior Ameryss Meza who led the way with a total of six RBI, including a two-out, two-RBI single in the second and a three-run home run in the sixth. With the victory, the Chargers are now in the win column in league play at 1-4, but their overall record is 2-12-1. Santa Clara meanwhile is still searching for their first league win of the season at 0-5, but are 6-6 overall. Santa Clara next takes on Los Altos on Thursday, April 11. Wilcox meanwhile faces Capuchino out of San Bruno on Saturday, April 13.